Some April sown hardy annuals…cornflowers, calendula and borage. A good ninety percent of my cut flower gardens are made up entirely of annual flowers….annuals are the flowery shire horses of the Higgledy Kingdom. I look upon annuals as being in two groups….hardy and half hardy (some folk also include tender annuals….I tuck tender annuals up with their chums half hardy annuals. Hardy annuals can take a frost and as such they can be sown in Autumn as well as Spring….and when they are sown in spring they can be sown before the frosts have finished. For most of England the last frost date is mid May….later further north…earlier further south and west. When To Direct Sow (into the soil) Hardy Annuals. I have spoken to dozens of commercial flower growers up and down the country and each has a different view on when to sow hardy annuals….ranging from early March until late April. Something worth bearing in mind here is that commercial growers NEED flowers in order to have something to sell….so it is understandable that they will sow at the earliest opportunity. This is not so for most domestic growers and it is my belief that sowing early can make a rod for your back. 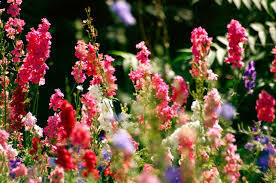 Your flower seeds will have a considerably better chance of germinating and becoming stronger plants if the soil has started to warm up and there is more sunshine bouncing about in the northern hemisphere. With this in mind I would suggest not sowing hardy annuals until mid April. 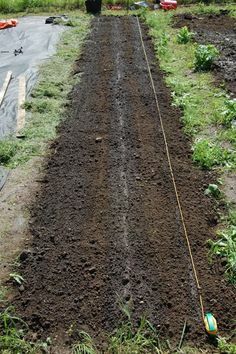 At this time the soil should be warm enough to be able to wriggle the seeds into waking up. At this time the native weeds will be coming through too…..if the native weeds aren’t growing….believe me….neither will our more Mediterranean based flower seeds. Sow later than mid April if you live further up country and a little earlier (should you wish) down south. …but if I was was to push you in any direction then a later sowing in April will always provide better germination than early April…..AND sowing flower seeds a month early will NOT give you flowers a month earlier….it just doesn’t work like that….later sown flower seeds nearly always catch up. Ammi majus, Ammi Visnaga, Cornflowers, Calendula, Corncockle, Salvia viridis, Dill, Gypsophila, Eschscholzia, Cerinthe and Nigella. Just to confuse the issue….some folk start ALL their flowers off in pots or modules undercover….if you go down this root then you can sow in early April. 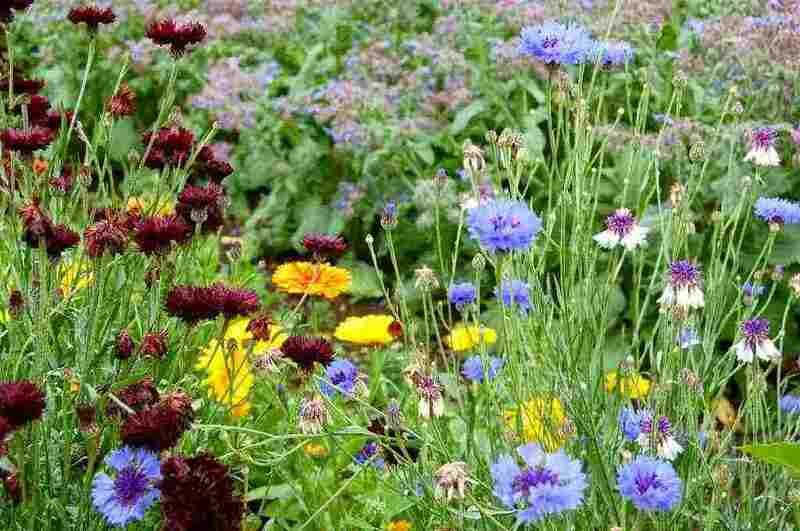 When To Sow Half Hardy Annuals. If you want to sow your Half hardy annuals outdoors then you must wait until the frosts have finished….I prefer to start mine undercover at the beginning of April and then plant them out after the frosts about six weeks later having had acclimatised them to the outside world. 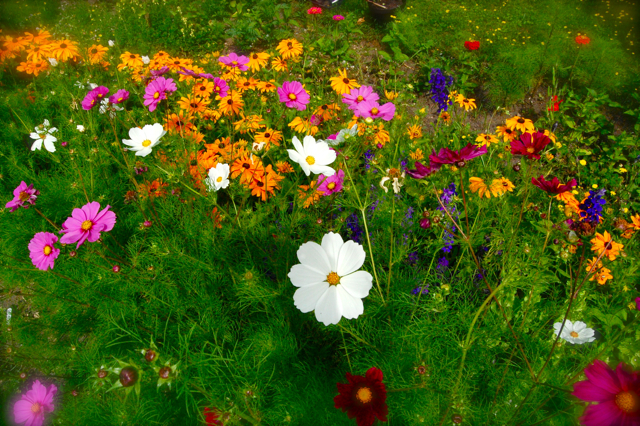 Tithonia, Cosmos, Sunflowers, Cleome, Nasturtiums, Rudbeckia, Didiscus and Craspedia. ‘The Flower Farmer’s Year’. Georgie Newbury,	Sunflower ‘Valentine’.